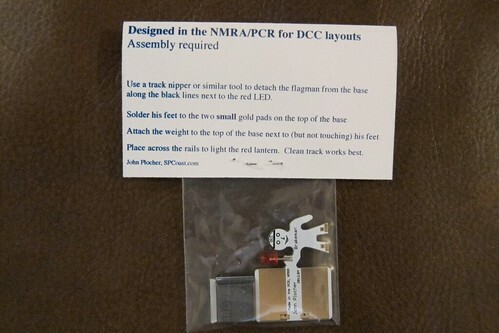 My husband John has been designing model train open source hardware for many years – as I have written about before. 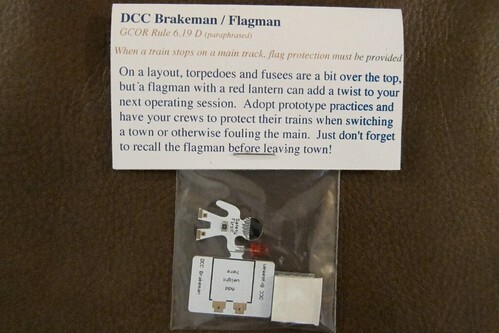 Recently, at the urging of fellow enthusiasts (or “Train Nuts” as their wives call them), John brought out his first retail product – the DCC Brakeman. 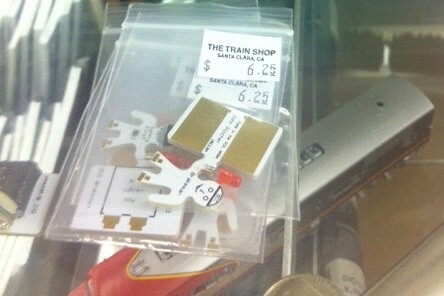 The DCC Brakeman is now for sale for $6.99 at The Train Shop, 1829 Pruneridge Ave, Santa Clara, California, (408) 296-1050. 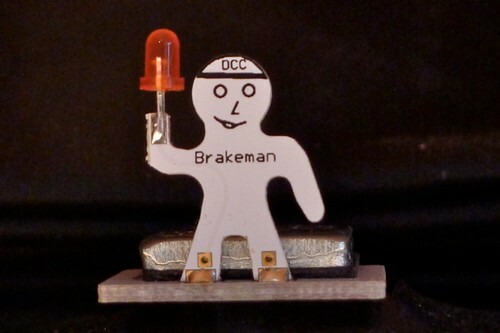 (The first version sold for $6.25 but everyone wanted him to have a weight added, which costs a little more.) Some assembly is required. 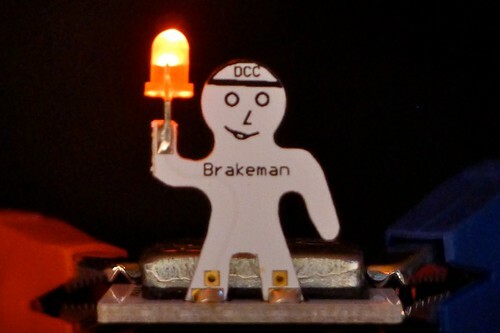 Details on the DCC Brakeman are on John’s website: spcoast.com.